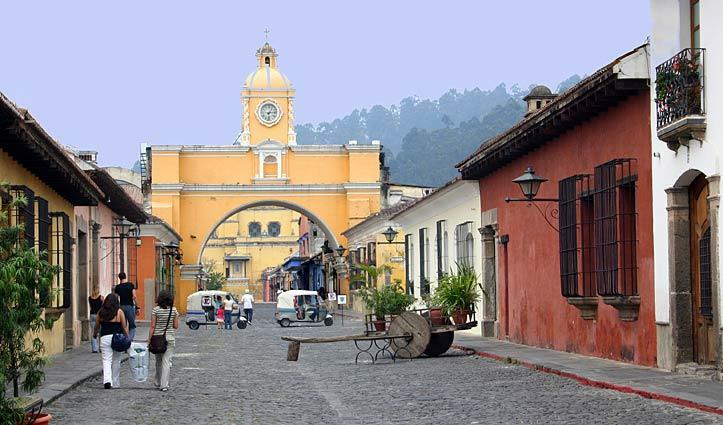 There are few places in the world that celebrate Easter quite like Guatemala’s colonial city of Antigua. Over the course of the holiday, this cobblestoned town of pastel-hued houses and crumbling ruins becomes a backdrop for incense-infused religious processions, elaborate holy vigils, and exquisite street carpets made of sawdust, pine needles, and flowers. Forget dyeing Easter eggs. Antigua dyes its sawdust—and then uses it to make some of the coolest carpets you’ll ever see. 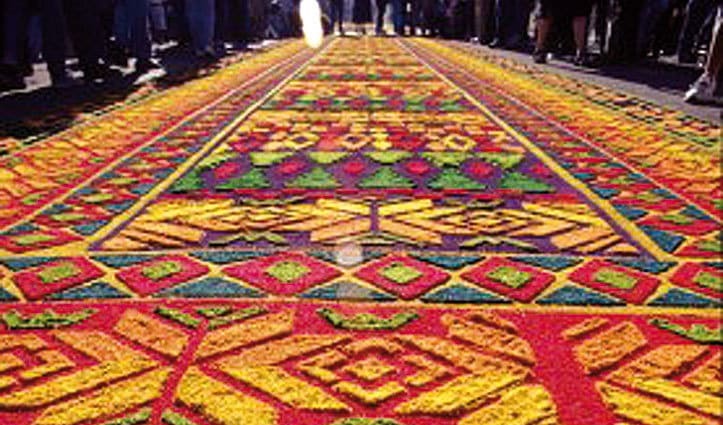 As elaborate and individual as they are ephemeral, alfombras are carpets that adorn the street routes of church processions. A religious offering, they’re made by hand – often with sawdust – in whatever design the maker fancies and just hours before the procession’s arrival. As the march of people passes over, the alfombras are destroyed, scattered beneath hundreds of shuffling feet. Food plays a big part in Antigua’s Semana Santa celebrations, particularly food made and sold by locals for religious processions and holy vigils. 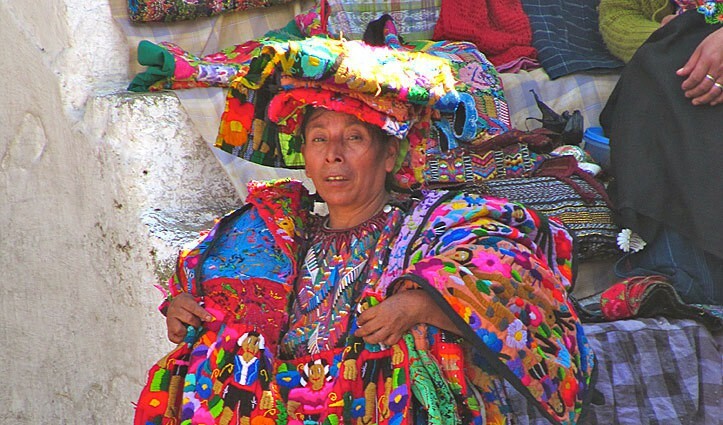 You’ll see señoras doling out sweet and savory items from blanket-lined wicker baskets, grills set up in the streets, and vendors selling colourful candy. That’s what you see locals selling in front of church plazas and in parks. It’s the food that people are used to eating this time of year, and the food that people prefer. There’s a lot going on, and it helps to stay somewhere central – so long as you’re guaranteed a quiet night’s sleep. Fortunately, Hotel Palacio de Doña Leonor offers the best of both worlds.